Exquisite clip earrings with a deco twist. 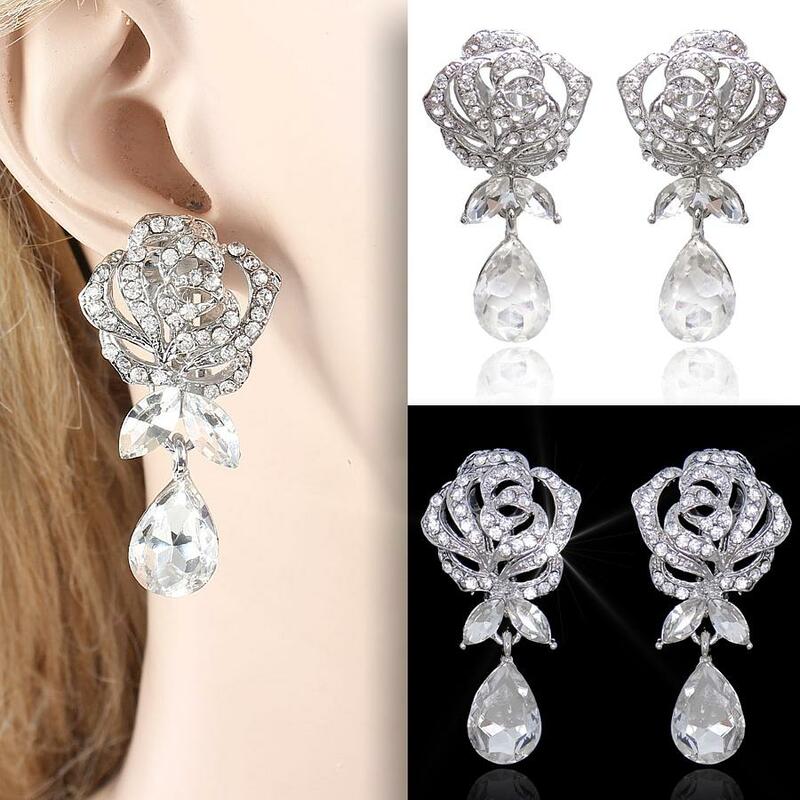 The typical 1940s rose, created in Austrian crystal and tipped with a shimmering teardrop. All in a silver Rhodium finish. Size: 4.4cm (1¾") x 2.4cm (almost 1").